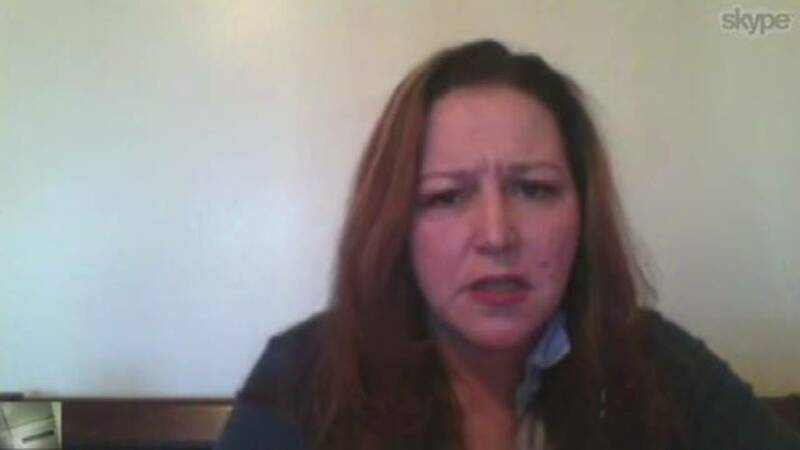 FLINT, Mich. - Shortly after Flint began sourcing its water from the Flint River in April 2014, resident LeeAnne Walters said she became concerned. “In November of 2014, my 14-year-old ended up getting sick and he was out of school for almost a month. As he was sick, at the tail end of him being sick, that’s when our water started coming through brown. So, we quit drinking it,” Walters told Local 4 in an interview done on Skype. Her family has since moved because her husband is in the military. Walters said she had a gut feeling that something was seriously wrong and she contacted the city. “At that point, we were like, ‘OK, what’s going on?’ So, they came in, they started testing,” Walters said. When the tests showed elevated lead levels, Walters said she reached out to the Michigan Department of Environmental Quality. In February 2015, after her concerns weren't addressed by the MDEQ, she contacted the Environmental Protection Agency. “At that point, I got hooked up with Miguel Del Toral from the EPA and began talking with him about the lead, and we were talking to him and he actually seemed to care what I was saying,” Walters said. Meanwhile, her family continued to experience medial problems. The worst was in one of her younger sons, Gavin. “He was almost 4. He wasn’t gaining any weight. He was experiencing hair loss, he was experiencing lethargy,” Walters said. A doctor determined Gavin had elevated levels of lead in his blood, even months after Walters had her family stop drinking the tap water. “[What was] frustrating was knowing your child was poisoned, and three days later your mayor, who knew, going on TV drinking the water and telling us the water was safe,” Walter said. Our of her frustration, she made contact with professor Marc Edwards, an expert in water quality at Virginia Tech University. Edwards challenged the safety findings by the Michigan Department of Environmental Quality, but that was only one critical piece of the puzzle that motivated more action. The other came from Dr. Mona Hanna-Attisha, the pediatric residency director at Hurley Children’s Hospital in Flint. That question is what got the doctor, who studies environmental health as an undergraduate, moving to ask more questions. She also holds a master’s degree in public health. Hanna-Attisha said she was told the county health department doesn’t actually have jurisdiction over the water. She started her own investigation by first looking at Medicaid patients at the children’s hospital. Blood tests for lead are required for children on Medicaid. “We are mandated by Medicaid to screen children for lead at the ages of 1 and 2, and Medicaid has this mandate because being on public insurance is a proxy for being at risk of lead,” Hanna-Attisha said. She had access to test results for children before and after Flint’s water had changed. “We quickly ran our numbers and we saw an elevation in the percentage of lead poisoning,” Hanna-Attisha said. She became so concerned that she shared her findings with the state in the hope that they would quickly share their data. Unfortunately, it was not forthcoming. The state pushed back, defending its findings. “That night we were attacked. I was attacked. I was called an unfortunate researcher, that I was causing hysteria, that these findings were not consistent with what the state had in terms of their database,” Hanna-Attisha said. Ultimately, her results were a catalyst for a deeper investigation. And, coupled with the issues raised by the Walters family and Edwards, the state was moved to action. “It was emotionally jarring, you know, as a researcher. As a scientist, you check and you double check and you know your numbers are right and you do everything the right way,” Hanna-Attisha said.